October 8, 2002 - Slides of the presentation on the ACM Collaborative Virtual Environments 2002 Conference added to the [DOCS] section. MOVE will be presented at ACM Collaborative Virtual Environments 2002 Conference: It will be held on Bonn, Germany from September 30 to October 2, 2002. You can check out our final paper here. Internationalization support added: MOVE! is now available in three languages: Catalan, English and Spanish. Support for RMI in Microsoft Internet Explorer added: Using the HOB RMI patch. New guide bot added: It shows the place to newcomer users and interacts with some shared artifacts. New tools added: Audio tool, URLs tool, Documents tool and Banner tool. Pick-up & Drop mechanism for some tools coined: Documents and URLs can be added dynamically to the place we are in. Users can pick-up documents and transport them wherever wanted. Now it is possible to add more than one instance of a model to a place: It is possible to have more than one instance of a tool in the same place. Implementation of a distance based algorithm for avatars: Discards events that are not located within a specified radius around each user. More extensive debugging process: Simulations show that the system scales up smoothly with 200 users in the same place. User's manual added: You can check it out here. End-of-Degree project documentation added: It is only available in Catalan here. J2EE Architecture & re-design: The MOO approach has been coined. Now before getting into MOVE!, the user must log in a World and a Place. 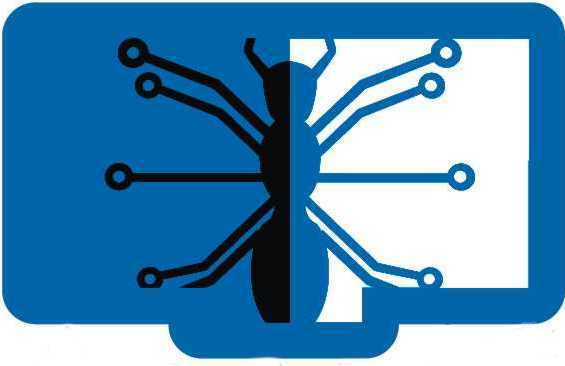 ANTS/CORE RMI package creation & utilization: ANTS/CORE package was adapted to support persistence and these new libraries were born. Edit previously created 3D places using MOVE! Builder: A new 3D edition mode has been designed. User detection mode: A new ping mechanism has been introduced to detect whether users are still logged into MOVE! or not. User interface completely rebuilt: MOVE! Builder user interface, as well as MOVE! Core's has been completely re-designed. MOVE! 's new look: MOVE! logo has been changed. AvatarStudio 2.0 & H-Anim 1.1 avatar compatibility: Any avatars created with AvatarStudio 2.0 are now supported. BlaxxunContact 5.x VRML plug-in compatibility added: Still under development. Votation tool added: A new 2D/3D votation tool has been added to MOVE!. Extensive debugging process: A great deal of bugs have been fixed. The [DOCS] section has not been updated yet. It still refers to MOVE! 1.3.0.9. It will be corrected as soon as possible. Also, a new re-design of this web site is in progress: other sections will be added soon. Ghost Mode added: It allows teachers to hide/show the VRML view of students in MOVE! so as to reduce communication overhead between clients and the server. All users are now shown in chat window: MOVE! users appear on the right side of the chat window. It is now easy to know how many users are in that place. BotActuator added: A new bot actuator has been created. It uses ANTS/AWS package to start a bot everytime a user joins any place. This feature is still on beta version. Netscape Navigator detection: Before entering any MOVE! place, your browser will be checked. If it is any other than Netscape Navigator v4 or higher, you will not be able to continue. New acknowledgements section: You can check it out at people section. ANTS.MOVE (Multiuser Oriented Virtual Environments) is a 3D collaborative environment built on top of the ANTS CSCW framework. It consists of two different modules that interact with each other. MOVE! Core is an applet designed to manage a 3D VRML multiuser world and its many different and interactive tools. MOVE! Builder is also an applet designed to easily create different 3D VRML worlds so as they can be imported by MOVE! Core. There are two kinds of possible users in the system: Teachers and Students. Teachers are, by default, allowed to manipulate tools and perform other privileged operations, such as to create new worlds using MOVE! Builder or upload new slide sets. Students are only allowed to use some special tools, like the Voting machine or the Chat. MOVE! Builder is completely integrated with MOVE! Core. With this applet, the creation of new 3D Worlds is quick, intuitive and easy. It provides a visual interface for adding several static things (chairs, tables, computers, ...) and shared artifacts (slides, videos, voting machines, ...) to the newly-created world. The integration of this brand new world is complete, and a new link to it is automatically added to this website. All shared artifacts are implemented using the Model/View/Controller as specified in ANTS CSCW. This allows a clean separation between models and presenter objects located elsewhere, thus enabling the creation of different views of a same model: text, web or 3D. MOVE! works transparently with Elvin or JMS, by using ANTS CSCW framework.